The most painful fun you will ever have ! A great experience with amazing guide and porters. Would recommend to anyone ! It was one of the hardest things I have ever done but you feel so satisfied when you've completed. The food was great especially considering the difficult conditions the cook has to deal with ! So choosing the right company can be a hard task. I've heard both of good and bad trips. 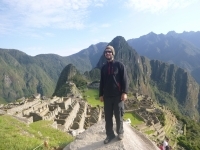 For me, choosing Inca Trail Reservations was the absolute right thing for me ! It's Peruvian owned unlike most other companies, which make it far better than the bigger companies ! It was an adventure. 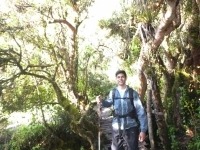 So beautiful nature, the trek was challenging and worth it. The small group made us closer instead of many people in the group. Victor, our guide, was amazing. He had so much knowledge and did not hesitate to answer the questions posed. Thank you. Great experience. It was an amazing experience. 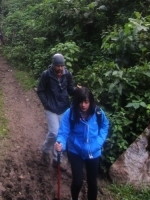 I really had no clue what to expect as I am not big into hiking or anything that take a whole lot of physical effort for that matter. Our guide Victor at the pre-tour session was really great at helping me set aside any anxiety and answered all the questions that I had. 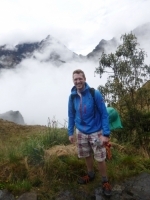 Inca Trail is a beautiful but physicall abusive mistress ! 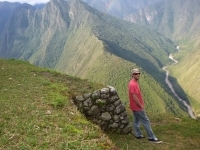 4 day Inca Trail hike was a great experience and provided unmatched scenery and insight into the Inca culture and history. 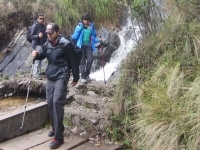 The trail hike itself is very physically challenging, but as long as you go at your own pace most everyone can do it ! Truth be told my group was terrified after orientation after we found out how tough this trek going to be :o . 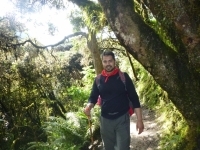 Once we set off it was quite different, yes our trek was hard but Americo made it fun, adventurous, and we learned a great deal about the Inca way of life. We saw a couple sites on the way to our first camp sites. Our guide, Americo, was very informative from the start. The scenery is amazing the whole way. The weather was fair, with the odd rain fall. The porters were very fast and always had everything ready when we arrived after our days hike. Once in a lifetime, very memorable experience. Our tour guide was excellent in all aspects of the trip, as were the porters and chef. 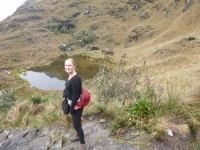 The second day was the hardest, with a steep ascent and Dead Woman's Pass in the morning. We struggled at times, but in the end, Americo was correct - anything is possible ! Such an amazing experience ! I had such a wonderful time, exceeded my expectations above and beyond. 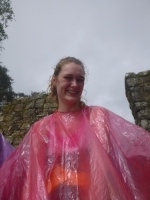 The porters, guides and my group were so caring and a blast to be around ! 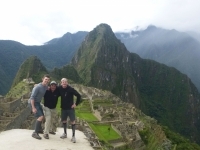 We all really connected like a family and had many laughs and fun times throughout the Inca Trail adventure. 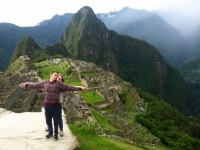 Although the trek is long and arduous, the last two Incan sites are well worth it. Coming over the Sun Gate in the morning is a breathtaking experience. I particularly enjoyed doing the trek with two of my best friends. Once you get used to waking up early and using the "restrooms" things will go much more smoothly. 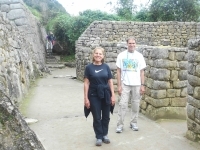 Beautiful Inca Trail to Machu Picchu in 4 days / 3 nights. 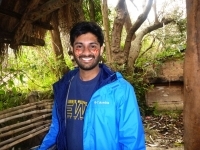 Well organised, very good food, friendly guides and porters. When ever we reached the next camp, everything was ready - from tea, to snacks to a rich meal and tents. Our group trip was amazing ! I went with a group of 5 people. We were greeted warmly by our guide upon arrival and the amazing service never ended. Amazing food, well organized, incredible views, and ever lasting memories. 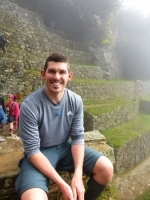 I recommend hiking Machu Picchu with this tour group any day. This adventure was great from the beginning. Ewe managed to survive multiple days hiking in the pouring rain but always ending up making it to the end. The second day was definitely hard but Juan Carlos made sure to make sure we would be okay getting to the summit - even got us horses so we would make it !